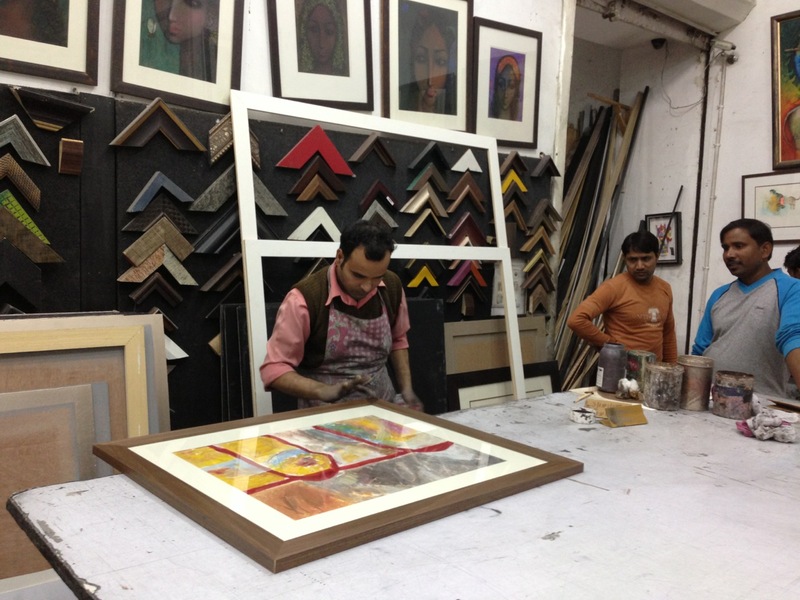 Friends, I am merely talking of framing paintings! 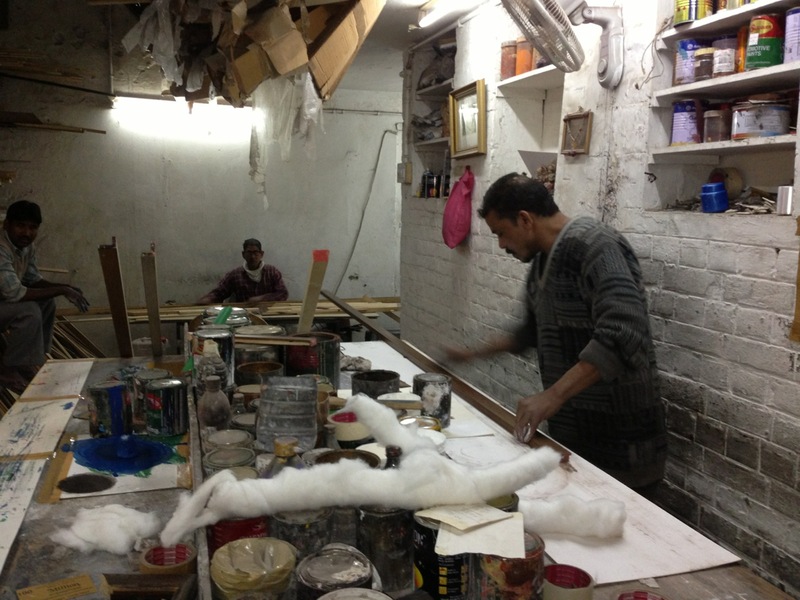 Hari Om Lal runs a massive enterprise called Sharma Framing House at Okhla Industrial Area, New Delhi. 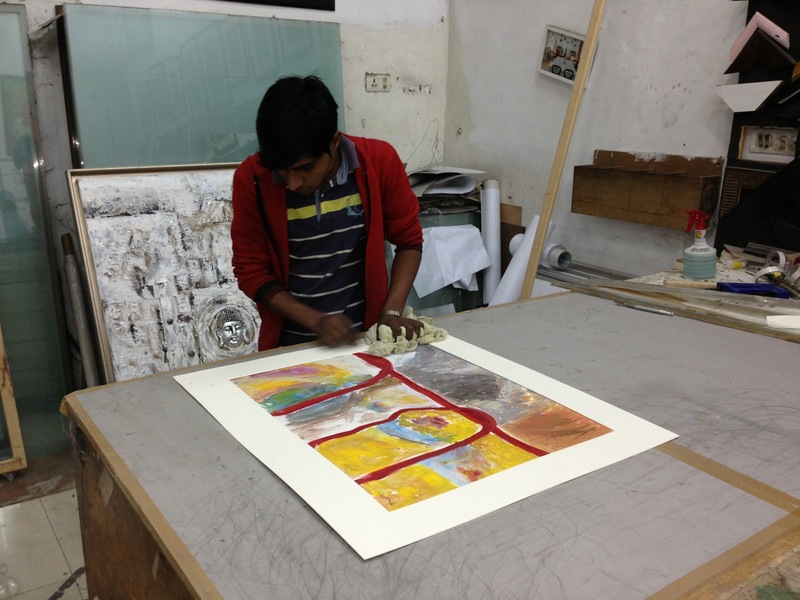 He has been the favoured framer for artists like M F Hussain, Krishen Khanna, Swaminathan, Manjit Bawa, Paramjit Singh, Sidharth and now also for Hardev Singh. 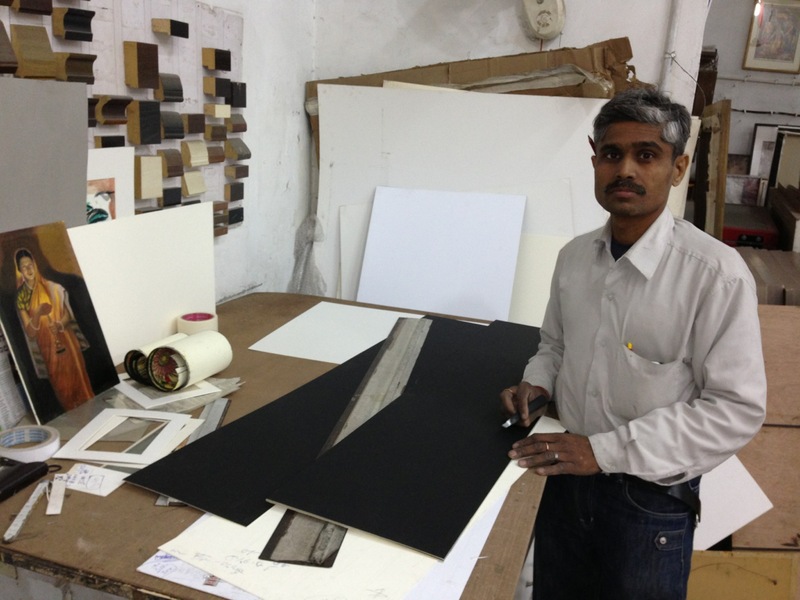 Artist Hardev Singh is Anad Conservatory’s first artist-in-residence. 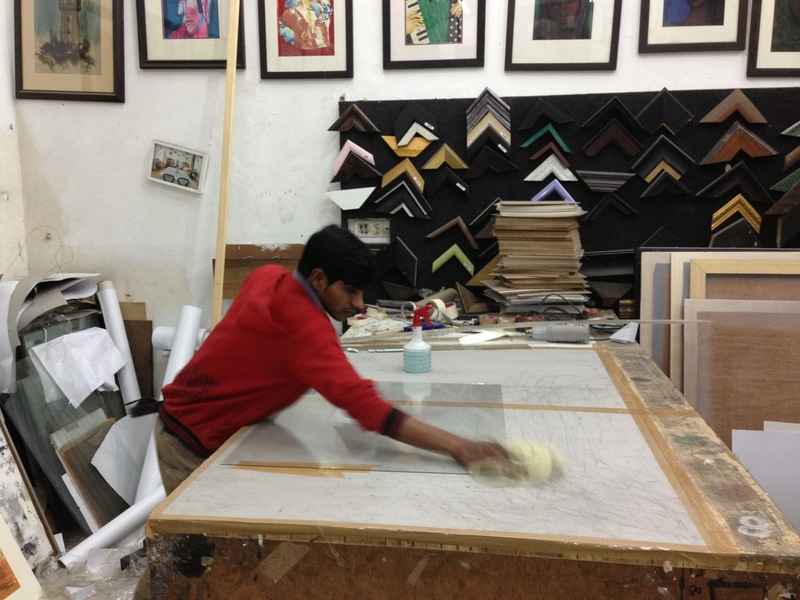 Since October 1, 2012, he has been stationed inside the Sultanpur Lodhi Fort, the site of the conservatory. His stay has been mired with some difficulty – with the Station Head Officer (SHO) forcibly opening up the gate to allow visitors to pass through, totally disturbing the serene and artistic environs around Hardev Singh’s workplace. It is always an issue when people who are supposed to serve and facilitate try to pretend as masters. The SHO is such a fine man otherwise who loves animals and his drinks. I was very sad that he had tried to intimidate Anad Foundation’s local staff – an issue which I will be addressing with him in the next days. 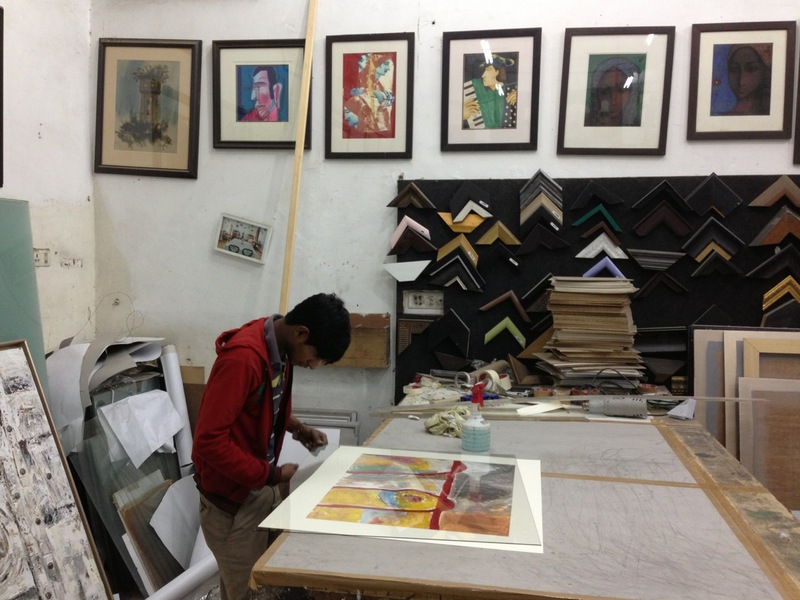 Nevertheless, Hardev Singh has painted a lot and I drove to Delhi with 57 paintings done by him at the fort – in water colour, oils and sketches..! Packing and then carrying them all in the Toyota Innova was quite an ordeal though. 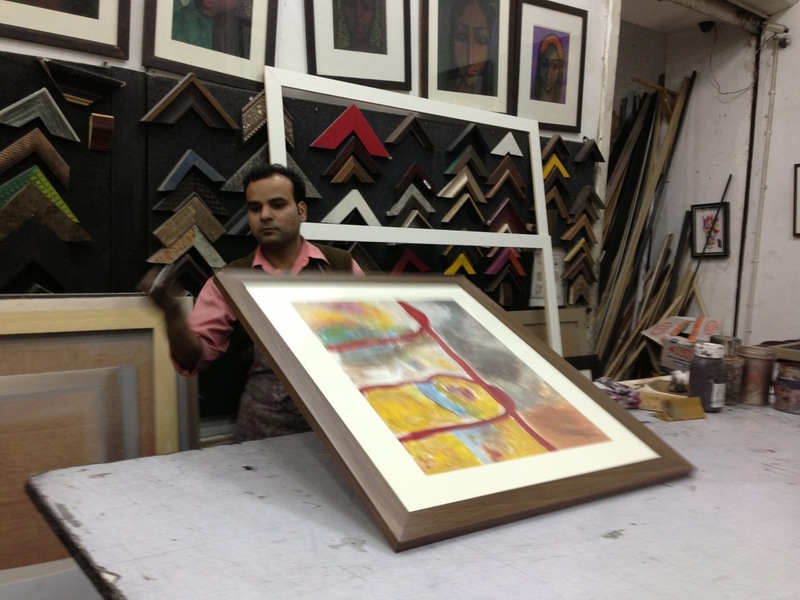 Nearly 45000 Rs (about 800 $s) stood wasted for 37 paintings were framed by a local carpenter who really botched it all up for he had never done framing before. Windows are like frames, for the world sees you in it and you the world outside, but they aren’t frames. 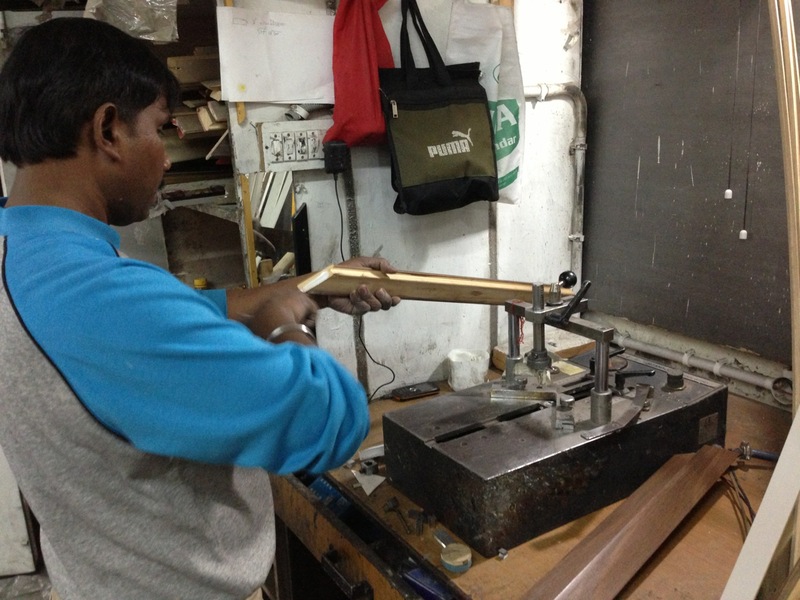 My staff at the fort only informed me when the wood had been bought, and cut. The mounts, the best that were found in Jalandhar city, were shiny hence pathetic. The end result seemed like a great singer entrapped in the midst of ordinary accompanists! 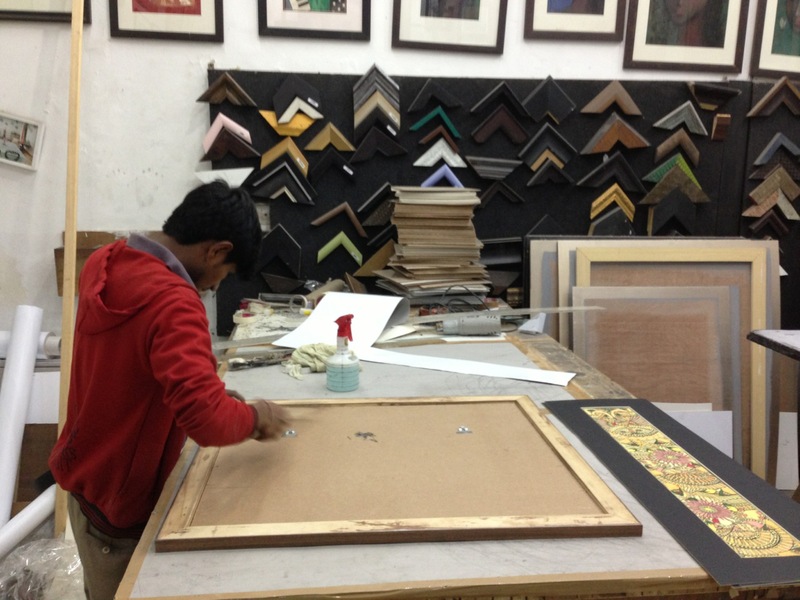 Yesterday afternoon, that is on Monday, February 11, 2013, I went to Sharma Framing House and requested Sujit, the younger brother of Hari Lal, to do a sample frame with an off-white mount. The traffic was much and I remembered Pasquale, a brother-in-law, teaching me in the summer of 1995 to exclaim “Ma, che traffico!” in Napolitan when caught in such a situation. You can try it as well but the traffic remains. At about 7p, I walked to the waiting car and drove with a brownish frame clad Raga Vadhan painting as the difference showed – aesthetically and weight-wise. 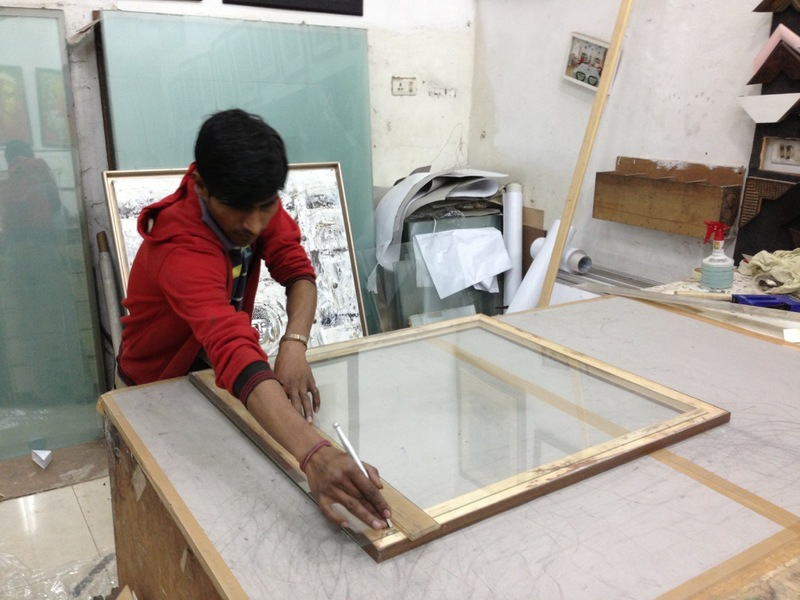 The glass was a mere 2mm instead of the 4mm they used in Sultanpur Lodhi. 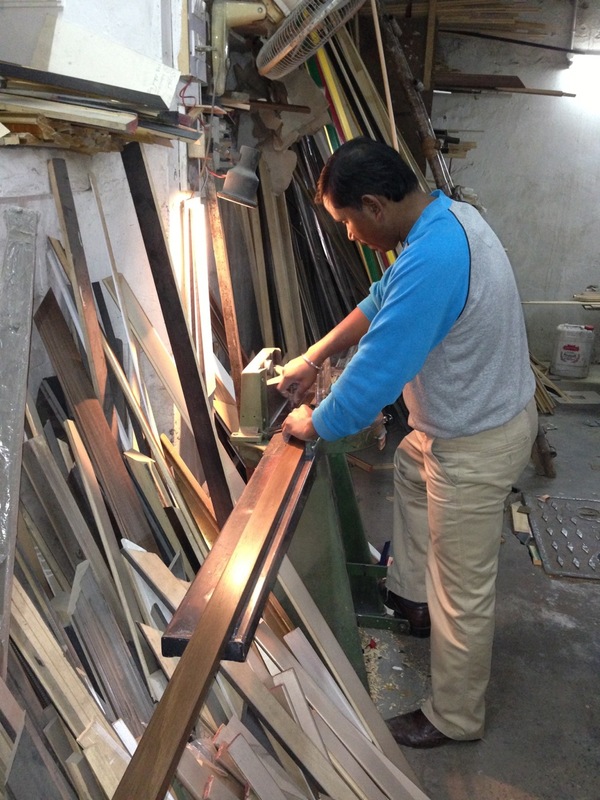 The Italian wood used nowadays by Sharma Framing is very light in comparison to the Kail wood used by the local carpenter, which was much heavier also for it yet retains much moisture. Expect the Kail wood frames to warp this summer. I thought, as I waited for my turn to pass the traffic lights at Ashram Chownk, to try and securely pack the Kail frames in fives to limit their warping. Once home, I got to confer with Maurizia, with Paolo Pacciola and his danseuse wife, Luisa Spagna, joining in with their suggestions. They all voted for the new frames, but they aren’t cheap. 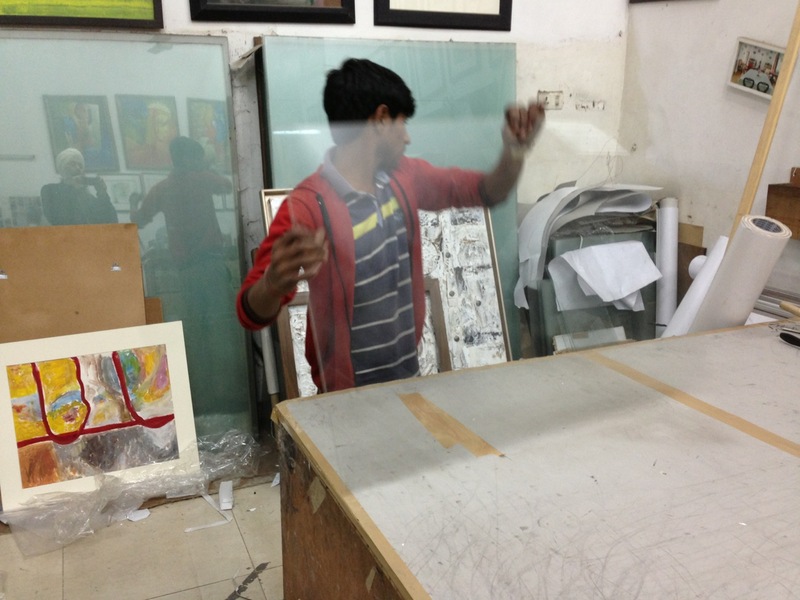 Picking up Artist Hardev Singh from the station was an ordeal too. We took nearly an hour to find him! He didn’t wait for Parminder at the platform but started walking towards the ‘gate’. He asked a lady for the exit – she pointed to the Ajmeri Gate side – we were were searching for him on the Paharganj side as planned. It was proving impossible to speak to him over the phone for the noise. After the search operation had run for three quarters of an hour, I asked Parminder to go looking on the other side and that’s where he was. How he had thought there was only one exit! 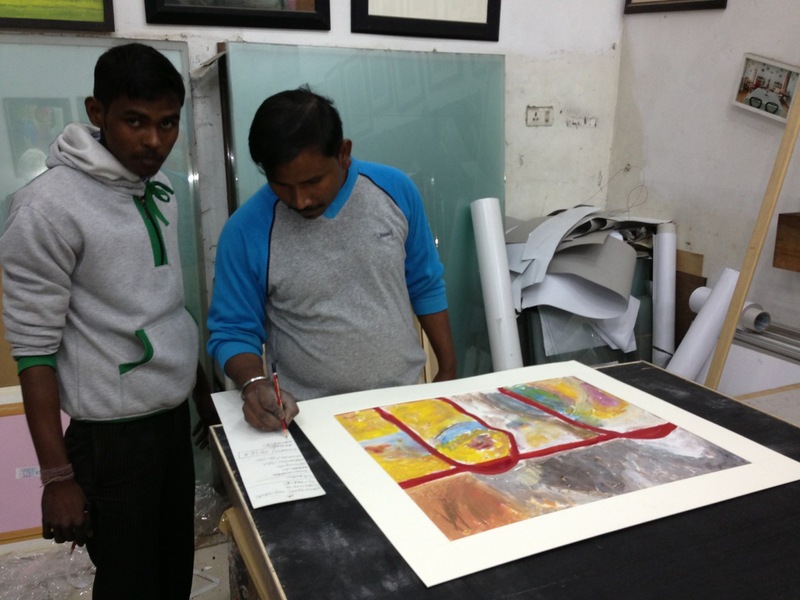 Parminder and the Artist eventually took an auto-rickshaw for it would have been an ask for him to walk all the way to the Paharganj side! Once home we spent sometime reviewing the two framing options. 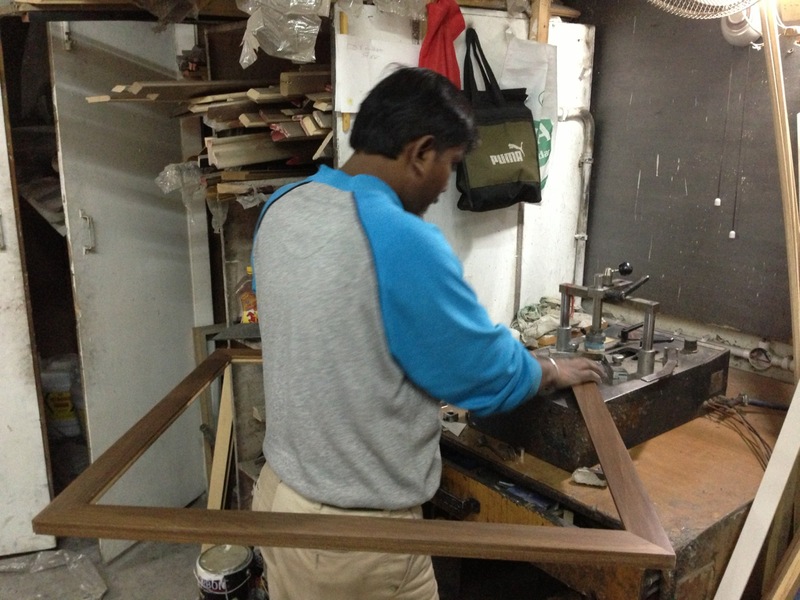 Hardev Singh liked the new frame. 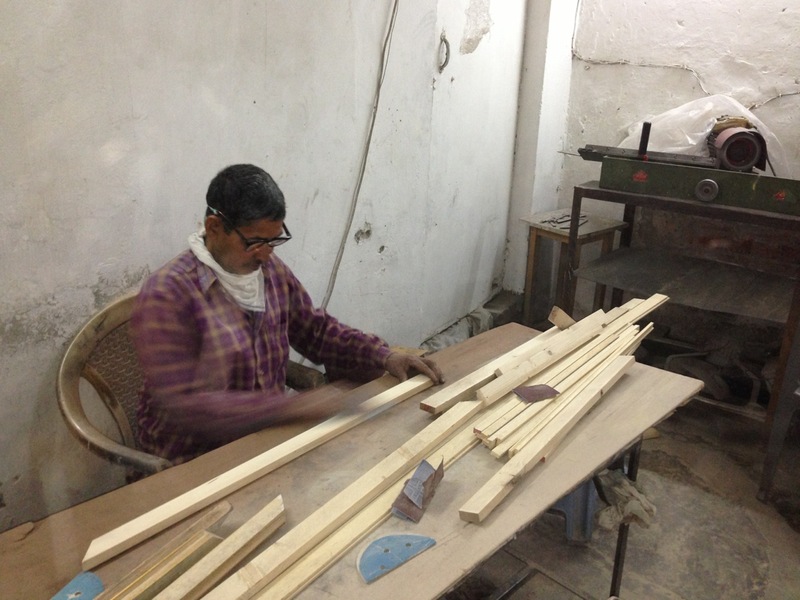 Although he was reluctant to do the new frames for the added cost burden on Anad Foundation but the qualitative difference was huge. 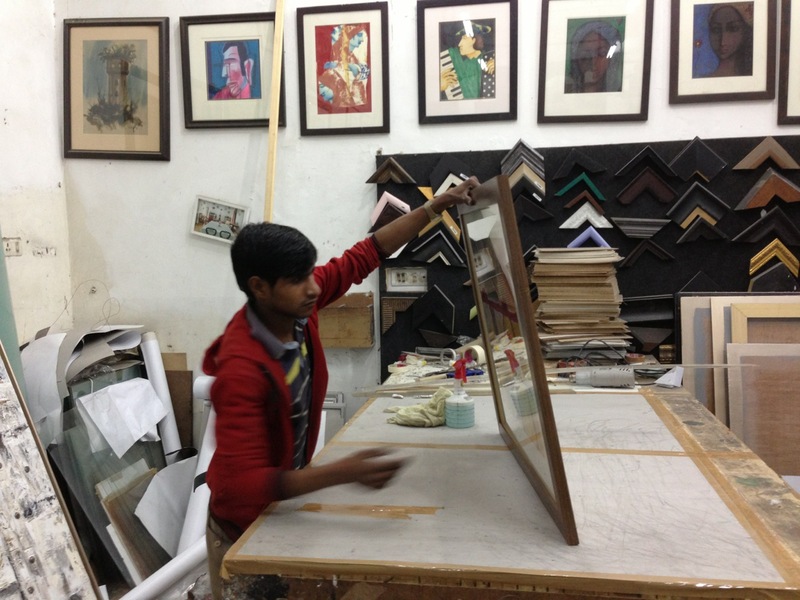 Moreover, the carpenter had used some poor quality plywood on the rear-side of the frame which can become termite infested damaging the paintings. First stage when the frames get cleaned up and sanded. 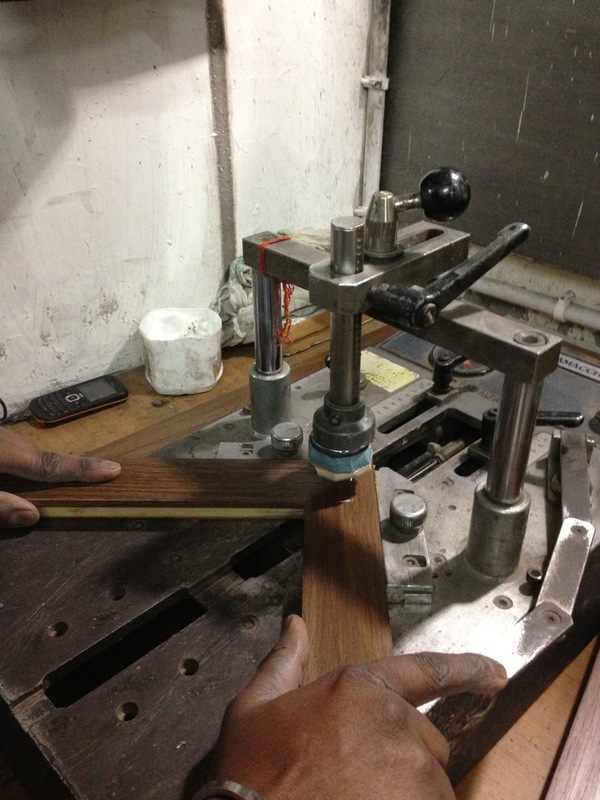 Stage 2 when the wooden stock is colour dyed or varnished. 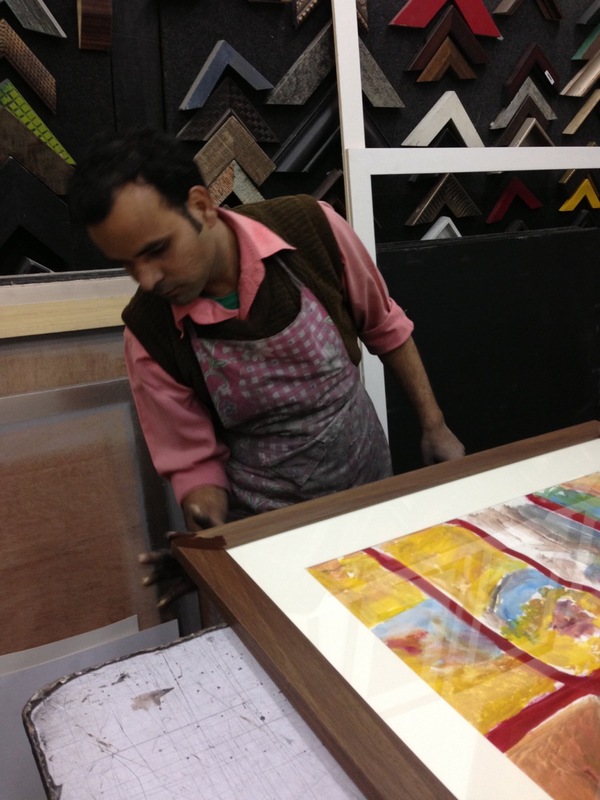 Stage 3 when the artisan make the mount – we had chosen an off-white coloured mount. 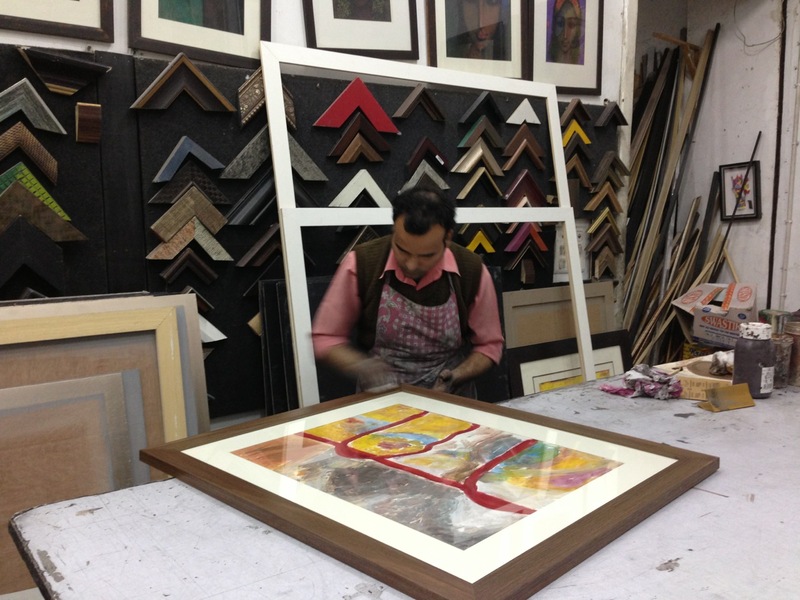 Stage 4 when the artisan measures the mounted painting and calculates the size of the frame. 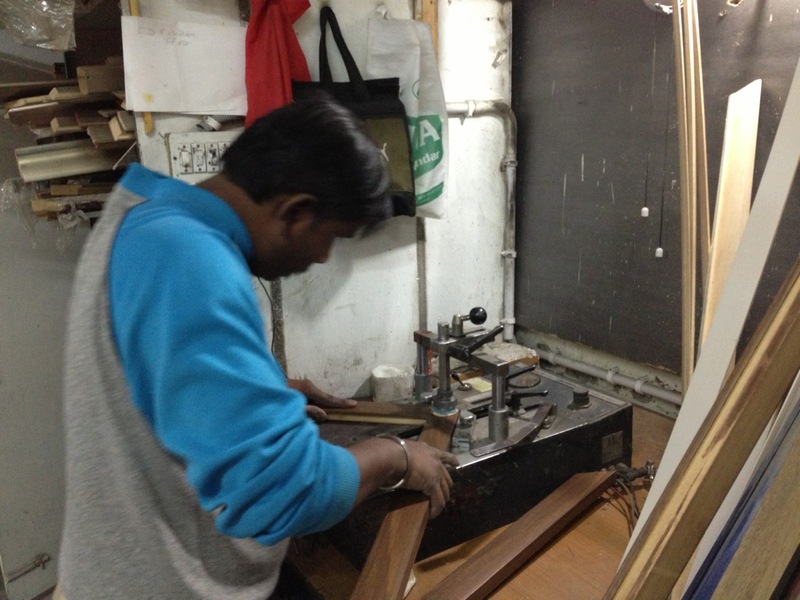 Stage 5: Frame lengths being cut. 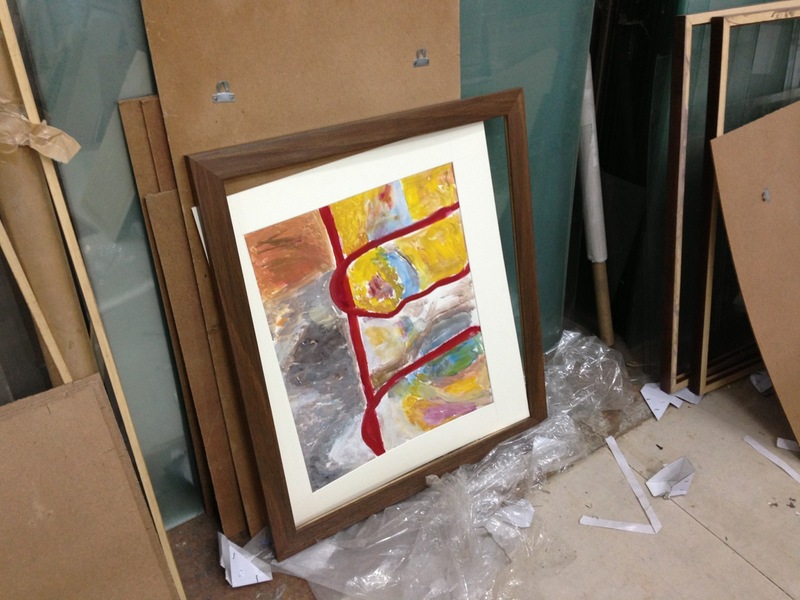 Stage 7: Frame and mounted painting readied for the glass mounting. Serves at The Anad Foundation. It is wonderful to hear from you indeed and thank you for your very generous offer and kind words! 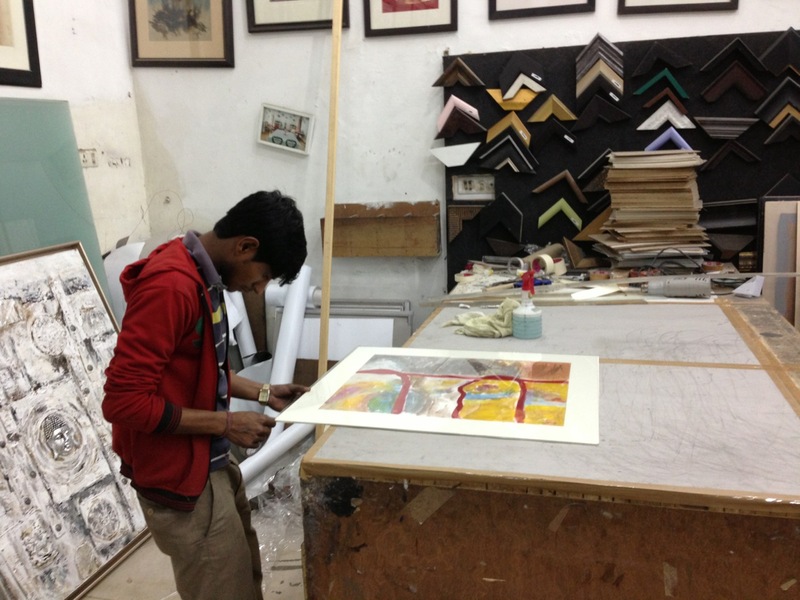 I will surely check the framing stock the next time I visit Kolkata and plan something.